*Please view Customer Testimonials below (Kindly Scroll Down). Please see our customer testimonials below (Kindly Scroll Down). "Hi Irene, Thank you so much for the Kippas! They are beautiful and looked perfect at my son’s bar mitzvah! "Hi Irene! How are you? I just received the kippot and let me tell you that they are BEAUTIFUL.. Me and my groom really really liked them. Thank you for everything and I'm sure that all my guests will contact you to order kippots and all you stuff..:) Well, Irene I hope we meet very soon. Thank you again. Bye! "Hi, Irene! You should have seen Hannah's face light up when she saw the invites yesterday! They're simply GORGEOUS!!! Thank you again for all of your help and time! I would say to look for a call from me in about six weeks to order kippot and napkins as well. 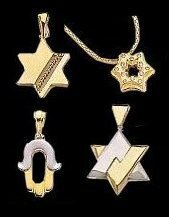 "Dear Irene, The pendant just arrived.. and in time for Pesach... Thank you so much, it is beautiful. A pleasure doing business with you. "Thanks, Irene, you provide a great service and I have added your site to my favorites. I will also pass on your site to my friends. "- (12.15.05) Sandy B. 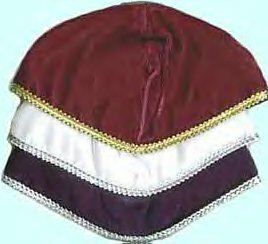 "Irene, I received the kippot that I ordered earlier this week for my daughter's Bat Mitzvah in January. They are exactly what I wanted and even better than they looked on-line. The Jerusalem scene is much more obvious than most embossed kippot I've seen. They are great. Thanks again and I cannot believe how easy and stress-free this was to do. If only my remaining tasks were as stress-free, I could sail through the next month without worry." - (12.07.05) Wendy A., San Jose, Ca. "Dear Irene, I love your web site!! Thank you so much for all your hard work, I will tell all of my friends and family about you. Also, Eugenia was extremely helpful when I called this morning. Best of luck..." - (07.18.05) Georgia M.
" Dear Irene, Mark and I would like to take this moment to thank you for a great job done on our wedding invitations. Everyone we sent them to remarked how beautiful, elegant and classy they were. Your expertise helped us achieve exactly what we were looking for in quality and sophistication. Thank you for your effort and the time that you spent putting together such beautiful invitations. Mark and I would highly recommend you to any of our family and friends who are in the need for any type of invitations. Judi and Dr. Mark P." - (05.08.05) Dover, N.J.
"Irene, The Kiddush Cups came in and they look great! Thanks so much for all your help and in getting them to me quickly. I'm sure I'll be back!" - (04.07.05) Clint R., Monument, CO.
"Dear Irene, I just received the sterling silver yad which I ordered and I love it. Thanks." - (03.30.05) Lois B., Durham, NC. "Shalom Irene, I'm so excited about the kiddush set and the speed in which it was delivered I am ordering another set exactly like it. Todah rabah." (03-16-05) Lawrence C., Hallsboro, NC. "Shalom! Irene, this is just a note to let you know I received the Star of David on Valentine's Day - perfect timing! Also, this pendant is absolutely GORGEOUS! I love it!!!!! G-d has blessed me with finding a good site like yours! G-d bless you in your business and with your family always." - (02.18.05) Valerie G., Vancouver, WA. "Dear Irene, The invitations arrived and they are absolutely perfect. Your work is beautiful. Thank you!" - (02.18.05) Susan S., New York, NY. "Irene: I received my watch and its beautiful. Thank you for your time, and patience. - (02.15.05) Jerry H., Centennial, CO. Thank you for having this business online, for I live in a rural communtiy and nothing like that is here in kansas...smile. - (02.06.05) Ralphetta J., Stafford, KS. "Dear Irene, The invitations arrived and they are just wonderful. I love them and am very happy with the job you did. I am going to recommend you to everyone I know. Thank you!" - (02.02.05) Pamela S., Woburn, MA. "Dear Irene, I am a repeat customer. Your service is excellent. Thank you." - (01.17.05) Rivka M., Eugene, OR. "Dear Irene, The menorah arrived as promised & he loves it! Thank you!" - (12.07.04) June S., Millburn, N.J.
taking care of this for me, as this beautiful glass clock piece with a Hebrew clock center will be just exactly what my wife was looking for!! Will definitely order from your fine company again sometime......you really take care of your customers, and it is MUCH APPRECIATED!!! Best Wishes, AND Happy Holidays ahead!!" - (12.06.04) Chris V., Las Cruces, NM. "Dear Irene: Received the order - great products - thank you so much - and Happy Chanukah to you and yours. "- (12.05.04) Shirlee N., Buffolo Grove, IL. "Dear Irene: You are so wonderful to do business with Thank you." - (08.03.04) Terry B., El Sabrante, Ca. Renan & Mira, Morrisville, N.C.
We would like to thank you. The invitations just arrived and they are beautiful. We just wanted to let you know how much we appreciate the ease and simplicity of your web site. Thank you again." - (03.25.04) Teresa and Kathryn B., Riverview, Fl. (03-18-04) Patty K., Casselberry, Fl. (01-22-04) Walter G., Delmar, NY. "My daughter and son-in-law received my recent order for the Baby Hamse. Thank you so much; they love the gift." - (12-27-03) Eileen B., The Villages, Fl. "The menorah arrived here about noon on Friday, in time for our Chanukkah get-together. We like it a lot!" (12-23-03) - Steve C., Seattle, WA. "Thank you for mailing my chanukiyah in time for chanukah. I enjoyed my shopping experience - very pleasant people to work with - and I love the menorah." (12-18-03) - Tammy W., Garrettsville, OH. "Irene, I received the cards today, they look great!! Thanks. Regards, Jake." - Jake L., Yonkers, N.Y.
"Dear Irene, My order arrived today in fine shape. Love them. Thanks for great service, backordered items arrived as promised. Shipped yesterday and received today. Very pleased. " (11-12-03) - Erwin B. Newport News, V.A. We received the bat mitzvah invitations this week and they are beautiful. It was so nice to work with you. I appreciate your courteous manner, attention to detail, helpful advice and professionalism. Thanks for everything." (06-19-03) - Sheryl G., Carmichael, CA. "Hi Irene! The package is here! Hooray! You are wonderful! I will shop with you again! Feel free to use me as a reference!" - Angélique M., Sacramento, CA. Hello Irene - I never took the time to thank you for your assistance in ordering the invitations for our son's Bar Mitzvah. They turned out beautiful and we're so happy! - Patty W., Santa Rosa, CA. "Irene, I am a first timer to your company. I received my invitations in perfect order, the correct amount, and in perfect time. The quality of your printing is superb also.You have made a new customer. Thank You!!!!!! Joy." - Joy. P., Meansville, Ga.
Michelle P., Santa Rosa, CA. "Irene, The set arrived today in good order. Todah, Brian"- Brian V., Akron, OH. "Irene, Sorry I didn't get back to you sooner. I absolutely love the holiday cards. Thank you so much. People here really loved them. I'll keep you in mind for the future. Again, thanks, and happy holidays to you." - Lisa S., Auburn, ME. "Irene, We received the announcements. They are beautiful!!! Thank you for all of your help. B'Shalom." - Brigitte R., Cincinnati, OH. Rabbi Nina M., Chicago, Il. "Thanks Irene, Looking forward to seeing the beautiful kippot. It was nice working with you. You were very helpful!" - Jan S., Sacramento, CA. "Thank you for your excellent customer service. Shana Tova." - Eric M., Little Rock, A.R. Luis and Geri B., Hollywood, FL. "Many thanks for your patience and extraordinary customer service." - Jan W., Neuried, Germany. The candlesticks arrived today and they are great! Thank you so much. I hope business and family are well. B'shalom." - Edward B., Santa Cruz, CA. "Hi Irene, the package has arrived safely. Many thanks for your efforts, your shop is really recommendable. I´m very happy about the nice Menorah and my friend who´s going to get it will be even more. I wish you all the best, Shana Tova." - Jan W., Neuried, Germany. "Dear Irene, the invitations arrived today and they are absolutely beautiful! Everything, including the calligraphy, is just perfect. Thank you for your wonderful service. You will be highly recommended." - Ellen D., Ridgwood, N.J.
"Dear Irene: Happy 2002! Thank you so much for keeping us updated about our present. 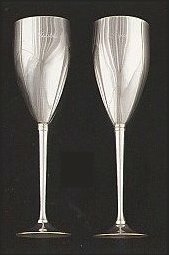 We wanted you to know that our recepient loved the Glass Dreydel! I know we will be dealing with each other again soon. I just love this site and the great items you have. All the best in 2002!" - Lauren S., Lake Success, N.Y.
"Beautiful product, fast service. Thanks!! Very Professional." - Bonnie F., Staten Island, N.Y.
"I just wanted to thank you for getting me my kippot on time. I really appreciate that you took my order and put a rush on it so close to the date of the B'nai Mitzvah of my twins. Thanks again." - Desiree R., Mount Sinai, N.Y.
"I just wanted to let you know that I am very happy with my seder plate, matzah tray and wine cup. They are absolutely beautiful. I have ordered from other online Judaica stores but have always encountered problems. "Received Challah Plate and Kiddush Cup yesterday. We absolutely love them! Thank you so much for your business. We will be looking forward to buying other merchandise from you." - Elba S., Houston, Tx. "As described, beautiful product & well packed. 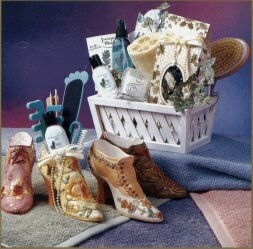 Jane L., Ft. Myer, VA.
"Beautiful item, great price, quick shipping. AAA+++" - Dr. Michael B., Bloomfield, N.J.
"Quick contact, very pleasant communication, well packaged, fast and carefully shipped, great transaction. "Received merchandise - great item!! Excellent Business Ethics, fair & personable. We will buy again!!" - Susie & Jeff M., Pepsicola, Fl. and in perfect condition!" - Sharon P., Teaneck, N.J.
and customer service. Lovely people to deal with! A+" - Roy P., Alamogordo, N.M.
Larry K., Santa Fe, N.M.
"The biggest and most beautiful Judaica Store Web Site on the Internet." - Susan M., Houston, Tx. "Most Beautiful Challah Plate - Fast & Pleasant Transaction. - - AAAA" - Leigh M., Saluda, S.C.